Overlooking Baja’s beautiful pacific coast is Cuatro Cuatros winery in Ensenada. This property is nestled in a natural preserve of more than 44 acres of grapes, Agave, and Olives, Cuatro Cuatros offers a piece of “luxury meets nature”. Click here to read the most recent article on Cuatro Cuatros. Just a short drive from Puerto Nuevo Rosarito, and one hour away from Tijuana, is this piece of architecture that sits on a breathtaking hill. Stylish rustic cabins and large vintage boats blend beautifully with the tasting room, as you drive up the hill to the mirador. Once you reach the peak of the hill to the parking lot, you will immediately be taken away by the panoramic views of Baja. As you get out of your vehicle, you’re shuttled closer to the edge of the hill where this beautiful winery sits overlooking the ocean. You can almost instantly feel the “luxury meets nature”, ambiance, with chairs made of hay stacks covered with white cotton material or rustic Mexican chairs. Canopies cover the entire sitting area to keep you away from the scorching sun. Tips: The best seats of the house require a reservation. Tip2: If you want to wine taste first, stay at the bottom of the mountain prior to driving up the hill to the Mirador. We didn’t have a reservation, so we sat at the first open seating area we found. Upon ordering we realized that we were not able to wine taste in the area, but we were still able to order wine. They offer a full bar, wines, sangrias and food. At the “Mirador” they had two wines available for us to try so I decided to try the Sauvignon Blanc and Chardonnay blend. Wine Note: Due to the heat that day, I decided to try the white wine blend of Sauvignon Blanc and Chardonnay. It was a tangy fruit forward wine that was not too sweet, but a nice blend of apples and citrus. The wine was easy to drink, refreshing, filled with citrus juices, little to no oak with a dry finish. Definitely recommend if you’re a white drinker. Every view from this winery was breathtaking. Whether you’re sitting on top of the hill drinking some wine, or dancing to the music, you will seriously feel one with nature. Breathtaking views of the Pacific Ocean, good company and wine, is definitely my idea of Luxury in Nature! Don’t go to the winery hungry! In the mood for Lobster?? 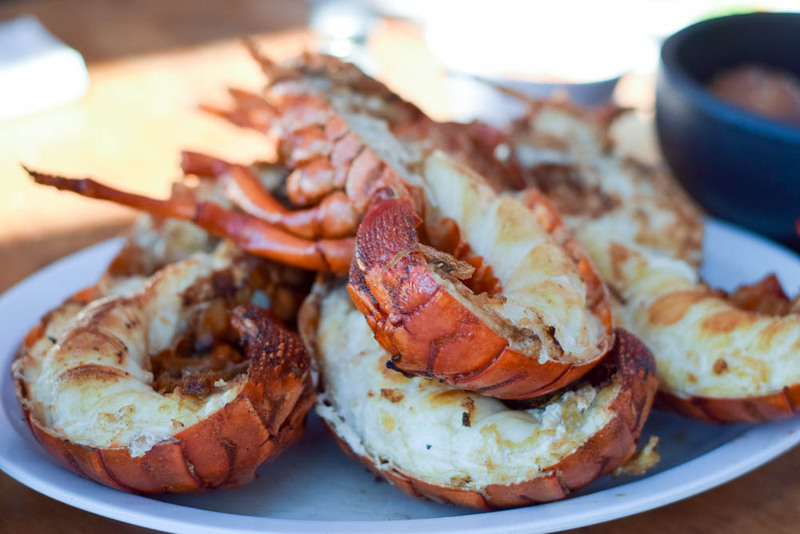 Head over to Puerto Nuevo’s Villa Ortega’s Restaurant where some of the best lobster is served. 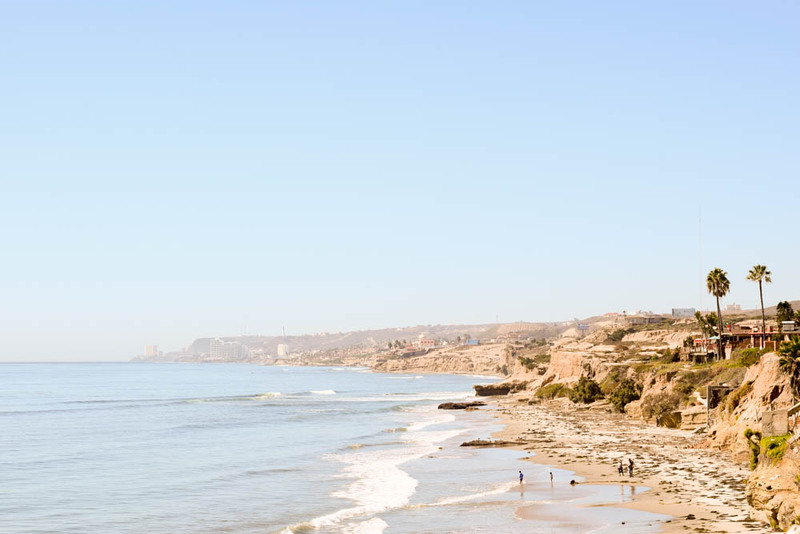 Growing up as a child in Tijuana and San Diego, we often came to Puerto Nuevo for Lobster. Well, it’s still the same and super affordable. This time, we came to Villa Ortega’s where you can enjoy delicious ceviche or simply listen to the mariachi with a michelada in hand! 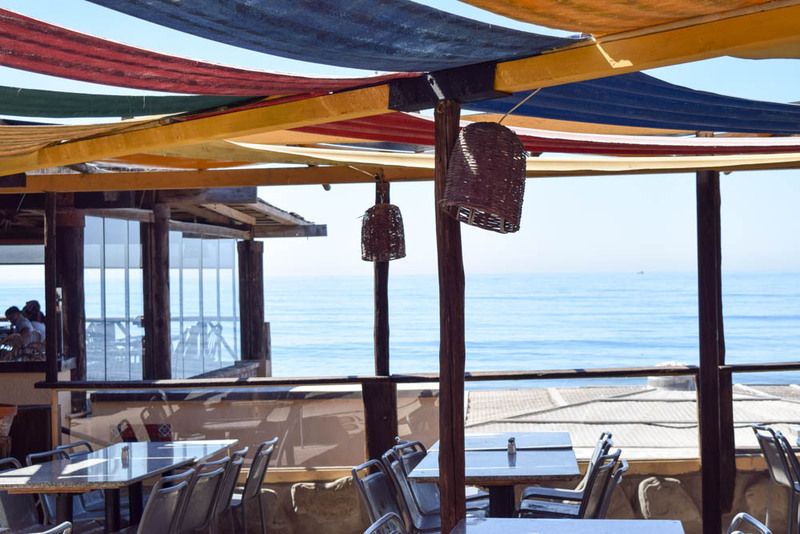 Villa Ortega’s is located on the beach with views of the ocean just passing Rosarito and 15 minutes from Cuatro Cuatro Winery. Cuatro Cuatros is also minutes from Ruta Del Vino in Valle De Guadalupe.